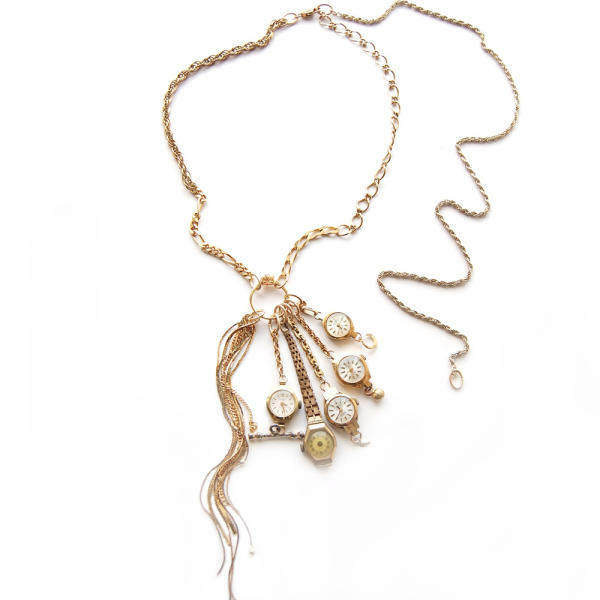 Maria Zureta is the jewellery brand of Brazlian designer Roberto Costa. 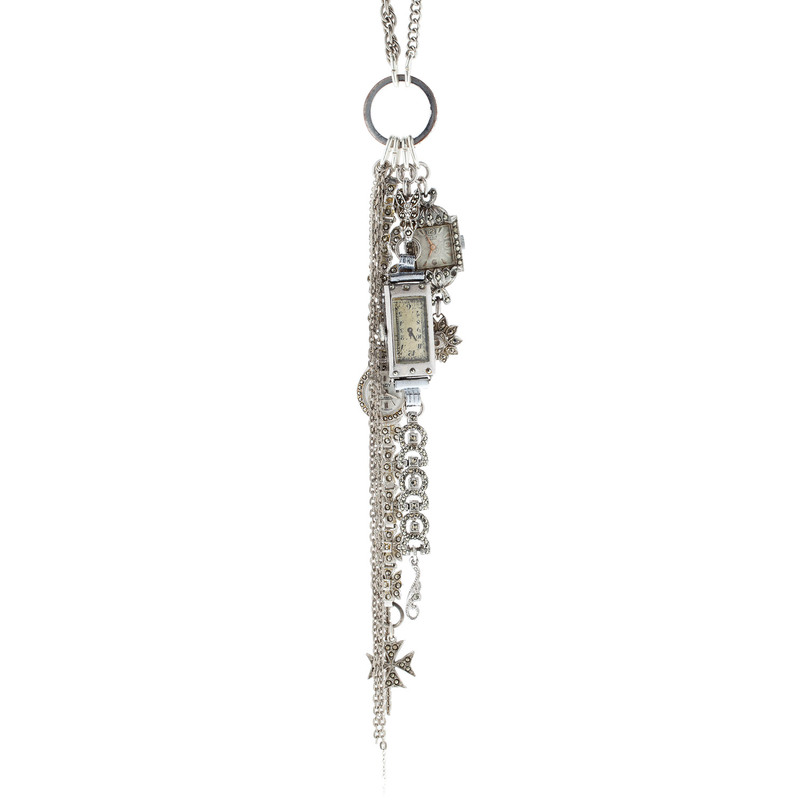 Each piece is a mix of charms, vintage watches and gorgeous little touches. Actually, each piece is a dream. What's that? You're a glamourous international jet-setter with a handsome man in four different European countries? Then this is the necklace for you. This is the simplest piece, but it's also one of the prettiest. 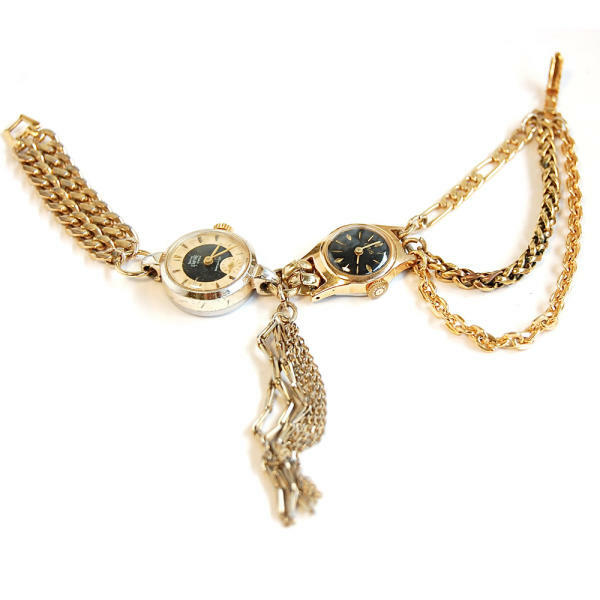 The delicate chains on the bracelet are gorgeous. This is a piece that you'll treasure for years. That's the thing I like about the range. Even thought they're all charms and vintage trinkets, they look new. A lot of jewellery like this looks very 'cobbled together' with whatever bits can be thrown at it. This has some thought to it. Most of the one-off timepieces are available at Boticca, but this one is available from Wolf & Badger. 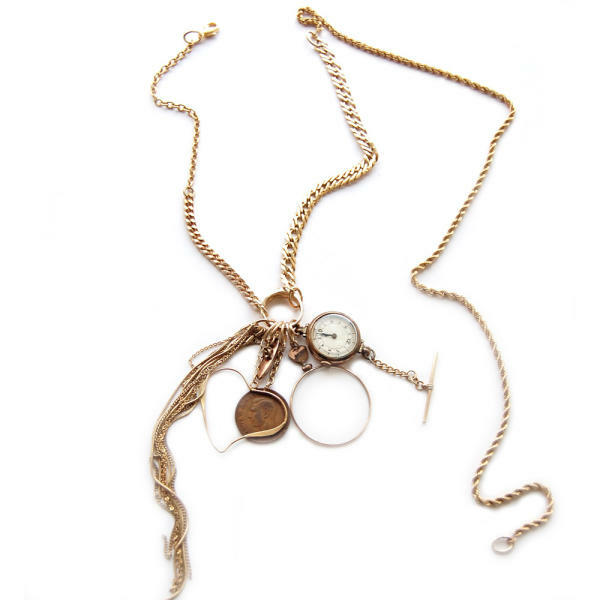 Prices for a Maria Zureta piece start at £120 (you'll find other pieces, not just watches). Roberto actually lives in London, so you won't have to pay any extortionate shipping charges, or wait very long for your new pretty things. My internal magpie is going into overdrive right now.